For a fitting finale, all the pages change back to their original state - blank! The Royal Magic Coloring book is the finest on the market. 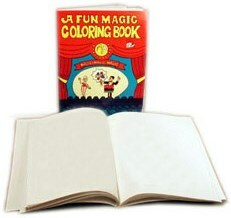 Changes from blank pages to outlined pages to colored drawings are made with the greatest of ease. If you can flip through a book, you can perform this astonishing trick!